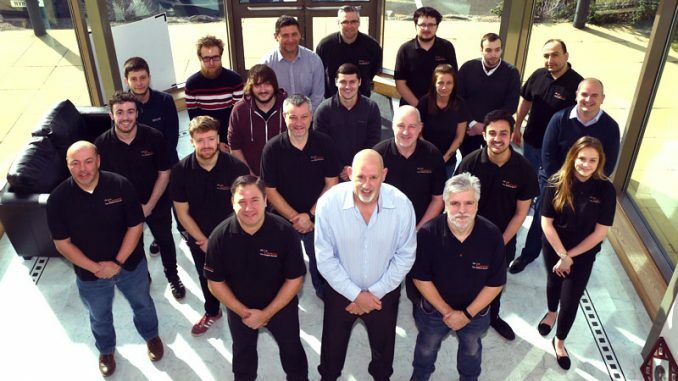 The company behind North Yorkshire’s new multi-billion pound polyhalite fertiliser mine has unveiled the first of its 1,800 tonne tunnel boring machines (TBM) that will construct the company’s underground mineral transportation tunnel between Whitby and Teesside. 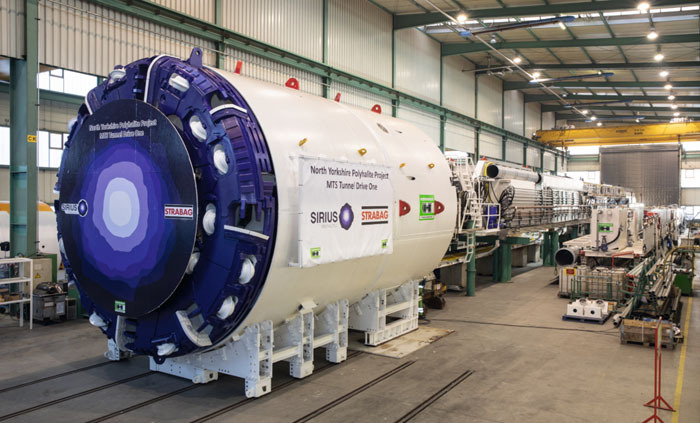 The 225-metre-long machine is undergoing final checks in Germany before being shipped to Teesside in the coming weeks, where it will be reassembled and start tunnelling in the second quarter of the year. Primary schools across Redcar and Cleveland have been given the opportunity to enter a competition to name the first machine. 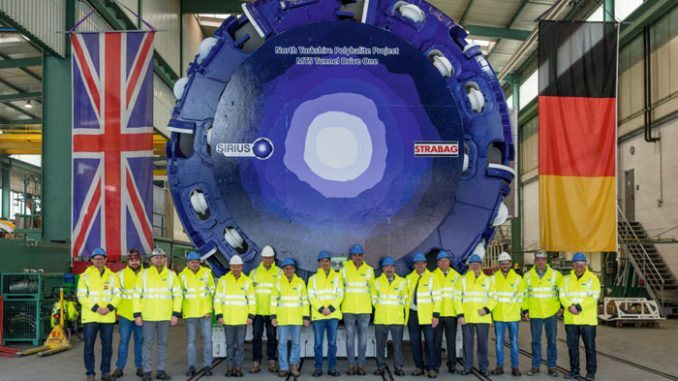 The single-shield TBM will be operated by leading construction firm Strabag, who also worked on the 35-mile Gotthard Base Tunnel under the Alps. Initial excavations have already begun to prepare for the machine’s arrival. The machine will bore the first of three planned tunnel drives which will make up the 23-mile tunnel from a new underground mine, near Whitby, to a processing facility on Wilton International in Redcar. Two other machines are planned to be launched in 2020 from Whitby and Lockwood Beck, near Guisborough, to complete the final 15 miles of the six-metre diameter tunnel. Workers will operate the TBM 24 hours a day, seven days a week, lining the tunnel with concrete segments as it goes. When complete, the tunnel will transport up to 20 million tonnes a year of polyhalite ore on a conveyor belt from the mine, to a purpose-built processing and shipping facility in the shadows of the old Redcar Steelworks, for distribution around the world. A tunnel was chosen as the transport solution to avoid impacting the local landscape and will have no impact on the ground above, sitting at an average of 250-metres below ground level. 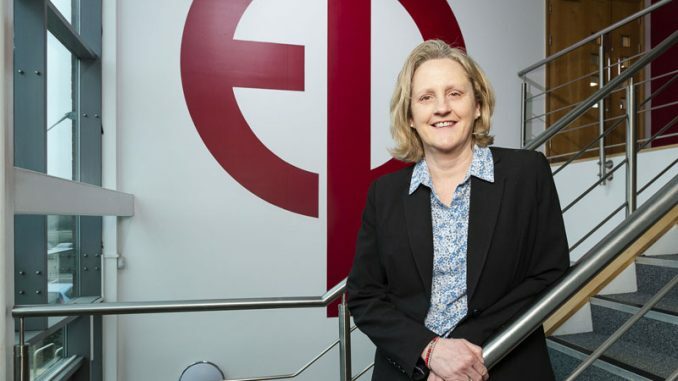 Sirius managing director and CEO Chris Fraser said: “The assembly of our first tunnel boring machine represents an exciting milestone for the company and the region. 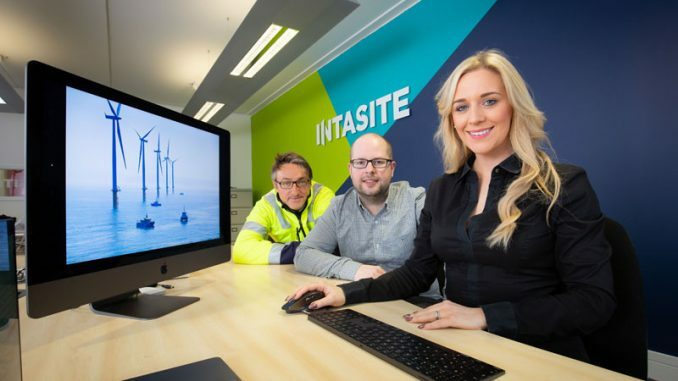 “With around 1000 people currently employed across all of our sites, the team working to make this project a success continues to grow as we deliver this world class project.